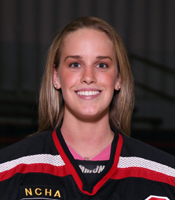 LAKE FOREST, Ill. - The 2007 Division III Women’s Hockey All-American Teams were announced Thursday (March 15) and a pair of Lake Forest players made the lists. Courtney DeHoey (Chatham, Ont./Bluewater Jr. Hawks) was a First Team West Region selection by U.S. College Hockey Online and Sally Bevis (Huntington, N.Y./North American Hockey Academy) received the same recognition from RBK Hockey and the American Hockey Coaches Association. They are the first All-Americans in the program's seven-year history. DeHoey, a junior forward, broke her own school record with 31 points this season. She scored a team-high 16 goals and tied the school record with 15 assists. Among her scores were six power play goals and four shorthanded scores. 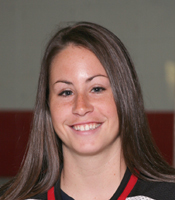 Her 10 goals in 15 Northern Collegiate Hockey Association games were three more than any other player in the league and she tied for the conference lead in points. She also ranked among the top 20 in the nation in points and goals per game. Bevis, a senior goaltender, surpassed her own school records with a .941 save percentage and 2.01 goals against average. Those marks ranked second and 14th in the nation, respectively, and the 2006-07 Foresters surrendered fewer goals per game than in any of the program’s previous six seasons. Bevis finished her four years at the College with the highest career save percentage (.917) and lowest goals against average (2.75) in team history. Lake Forest posted an 11-7-7 overall record on the season and finished fourth in the NCHA standings with a 6-4-5 league mark. The Foresters won the third-place game of the NCHA’s O’Brien Cup Tournament.